KMC is one of the leading companies in Europe in the development, production and sales of food ingredients and other products derived from starch potatoes. The company was founded in 1933 and has its headquarters in the small town of Brande in one of the predominantly agricultural parts of Denmark. As a result, the company is intensely aware of its image in the local community, and the responsibilities this entails. In the autumn of 2005, problems with spirochete bacteria in the effluent flow from the KMC Derivat factory for modi- fied potato starch were giving recurrent problems. The local municipality even imposed fines because the level of sus- pended solids in the effluent was far above the set limit. 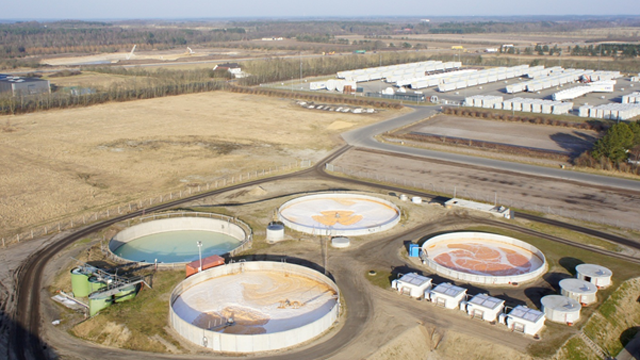 Furthermore, the effluent – even though pre-treated by KMC – was having a negative impact on operations at the local waste water treatment plant. Spirochetes are long, filament-like bacteria that can present major difficulties for the operation of a waste water treatment plant. The problem is that they do not settle to the bottom of the settlement tanks used in conventional waste water treat- ment plants. They also create chaos in the delicate bacterial balance that the plant relies on to treat the water. For a period of 3 months, KMC conducted side-by-side pilot tests designed to compare the Alfa Laval Hollow Sheet mem- brane filtration module (MFM) with a seemingly comparable Japanese installation. In addition to the distinct performance advantages that the Alfa Laval set-up provided, KMC's Technical Director Jesper Jensen noted a big difference in the follow-up. “The Alfa Laval people were incredibly professional in their whole approach. They put a lot of effort into helping us, and were so confident about the capabil- ities of their system that they were fully prepared to give us the kind of process and durability guarantees we needed. We’re confident that the Hollow Sheet elements will last the distance. KMC’s batch production of modified potato starch means that the installation has had to cope with widely fluctuating effluent quantity – and has done so without problems. Average Trans Membrane Pressure (TMP) levels of only 80–100 mm have been achieved. This compares extremely favourably with figures from other known membrane technologies for MBR installations, which are normally higher by a factor of 10. The plant has been operating since March 2007. As a result of the consistently low TMP levels, no fouling was observed and there was no direct need to carry out any CIP procedures. 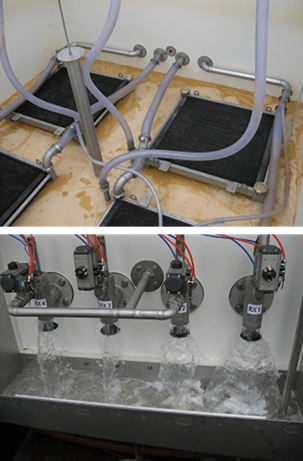 Despite a demanding filtration environment consisting of waste water with a wide range of starch residuals, the operation/relaxation protocol used so far has provided consistently high levels of performance. The output from KMC’s treatment plant is actually of better quality than the final output from the municipal waste water treatment plant.